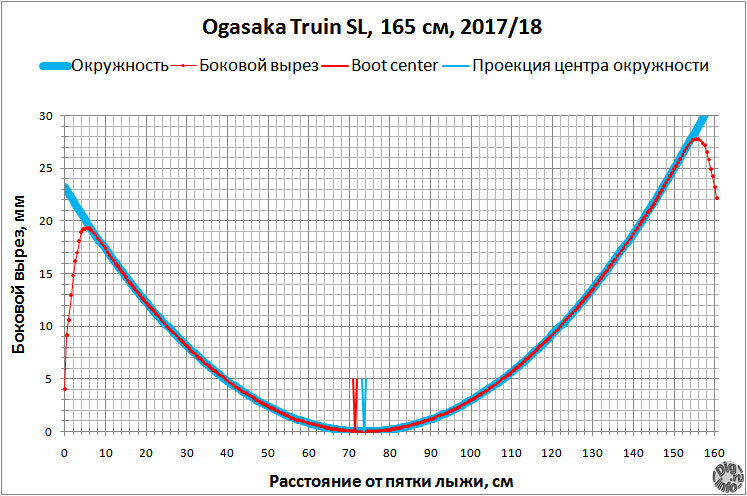 The catalog indicates that the radius of the side cutout of the Ogasaka Triun SL 17/18 ski, length 165 cm, is 11.0 meters. 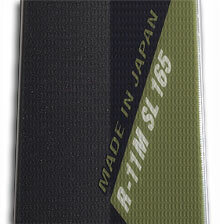 This is a fairly radical cutout for nowadays slalom skis, the traditional radius is 12.5 + – 0.3 meters. It is also interesting how much the shape of the side cutout corresponds to a circle, that is, how much possible to speak about the radius, and not just the “radicality” of the side cutout. For this purpose I measured the width of the ski in 0.5 cm steps. On the sliding surface of the ski put the painting tape with the markings, the width measured with a calipers, the accuracy of 0.1 mm. I will recall the parameters from the catalog (for more details, see: Ski Ogasaka Triun SL 17/18. Part 1, catalog). The width of the tip/waist/tail is 120/65/104 mm, the radius is 11.0 meters. On the ski itself, only the radius is indicated, and “without tenths”. The measurements gave such values of the width of the tip/waist/tail 120. 65.0/103.7 mm. 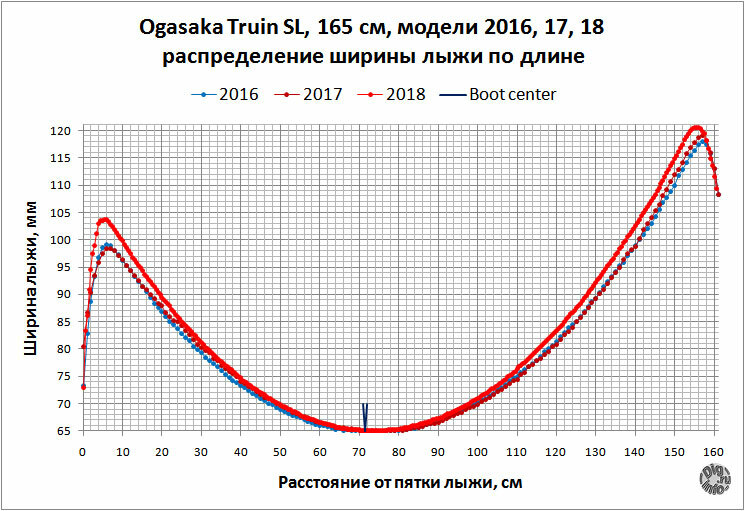 The center of the boot is 71.5 cm from the heel of the skis, the same as in the model of the past (2017) and the year before. 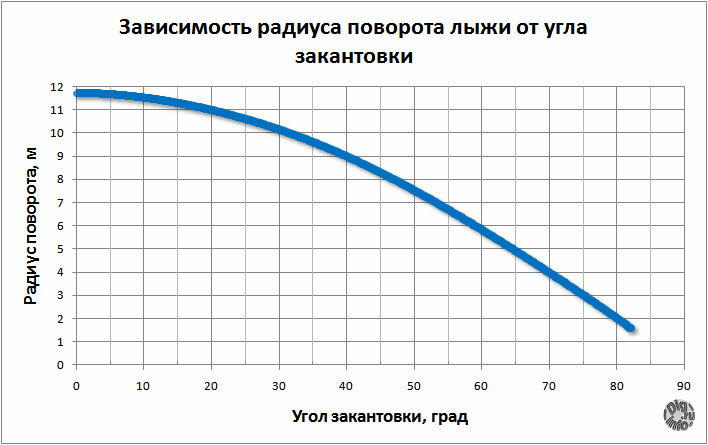 I now turn to the calculation of the radius of the side cutout. The “transport dimensions” of the ski (the widths given above) give a little. Details here: Ski sidecut radius and radius of a circle. To calculate the radius (assuming that the side cutout is an arc of a circle), the on-line FIS calculator is well suited. 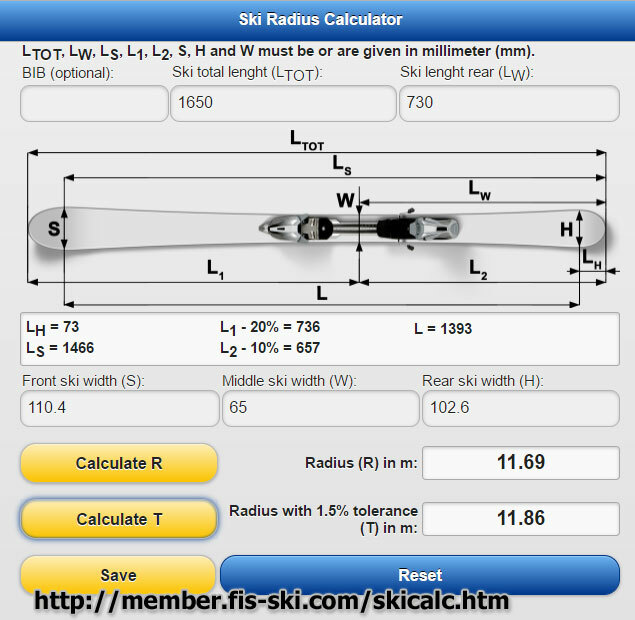 The radius value is 11.69 m.
I will move from the measured distribution of the width of the ski to the sidecut and see how much the circle fits into the shape. It can be seen that the side cutout is a circle. The radius of the circle is 11.69 m (exactly as in the FIS! Calculator! ), And the center projection is located at 73.6 cm from the heel of the skis, or 21 mm in front of the boot center line. 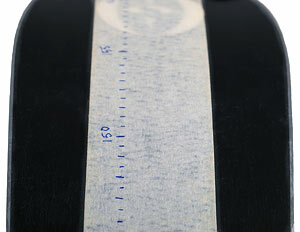 The working length of the edge is 145.5 cm, starting from the mark of 7.5 cm from the heel of the ski. More precisely, the circle fits into the track on the snow until the angle of the edge of 82 degrees, then the deviation, which is noticeable on the graph for the angle of 85 degrees, begins.